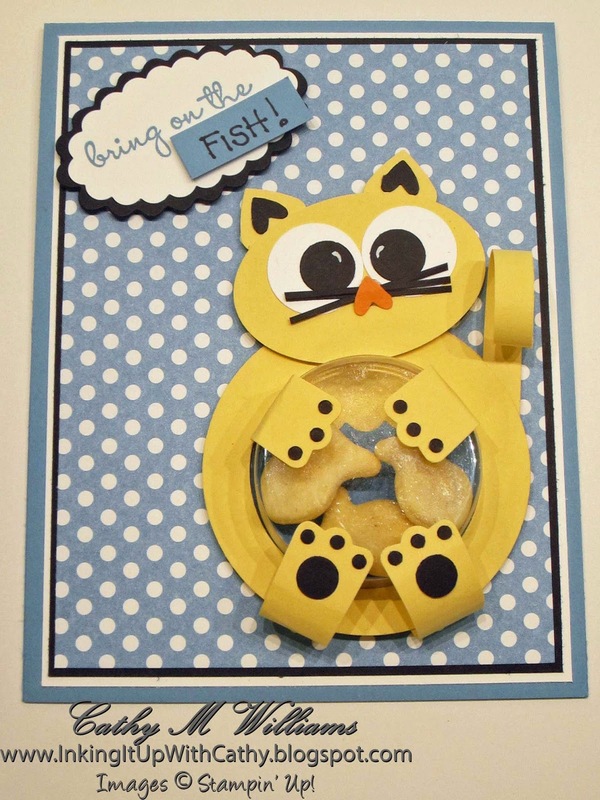 Here is a cute card that I case'd for a workshop for a child's birthday. What little kid wouldn't love to get this card? It had been a long time since I had used the Sweet Treat cups and I thought this was a very cute way of using them. The worst part of making this card is punching and attaching all those little toes! Remember that tip I gave you about using the multipurpose adhesive sheets before you punch, here is where that comes in super handy! The sentiment comes from the Bring on the Cake set. 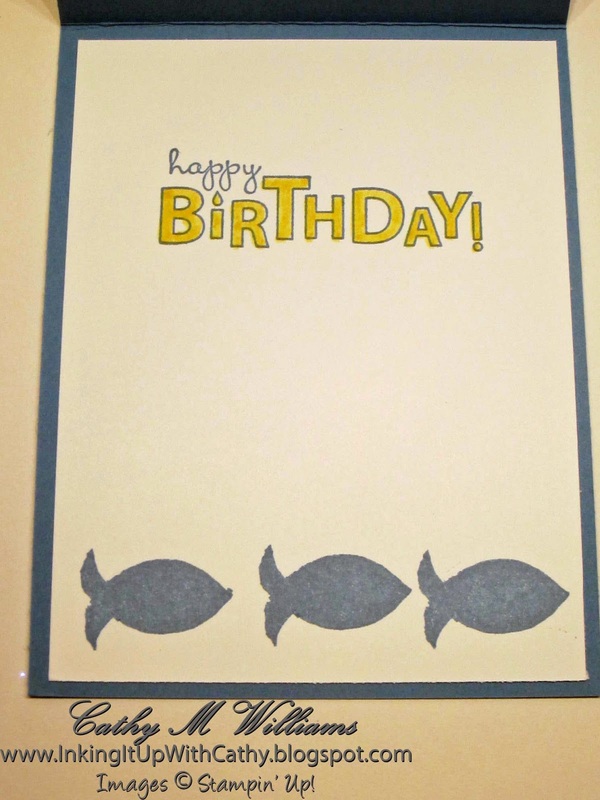 But we took a black marker and wrote "Fish" on a piece of Marina Mist card stock and covered the word "Cake". A quick look into his tummy shows that he already found some! The "Happy Birthday" comes from the same set. Now, you are looking at those cute little fish at the bottom of the card and thinking "I don't remember seeing a little fish like that in the catalog". Well, you didn't miss it - it is not there. I carved it myself using the Undefined kit. I have seen some beautiful carvings done by other artists but I must admit mine look like something a third grader would do - okay, maybe I have offended a few third graders!